This piece was written by Matilda Price. For more of her musings on the domestic racing scene, visit her excellent blog here. And follow her on Twitter here. After an almost 7 month break, top-level British racing made its return today in the form of the East Cleveland Klondike Grand Prix. The addition of a women’s event for 2019 sees East Cleveland host the curtain-raiser of the extended Women’s National Road Series, as well as kicking off the Men’s National Road Series, a newly formulated season-long race series for the men’s peloton. There’s already been plenty of National B racing this season, but Sunday was to be the first time we saw all the top teams line up against each other, with a testing parcours ahead of them. The route, set in the Redcar and Cleveland region of North Yorkshire, takes in a rolling, 55km circuit (covered twice by the women and three times plus a shorter lap for the men) which is full of climbs and exposed sections as the race hits the coast. The race’s iconic climb is the ascent of Saltburn Bank, a relatively short but very steep ramp up from the coast to the town of Saltburn. Despite its gradient – which averages at 14.7% – the shortness of the climb, plus the fast run-in to its base, means that the non-climbers can tackle Saltburn with relative ease, but the volume of climbing in the race is sure to take its toll. The finish in Guisborough is flat, but this doesn’t mean a sprint is guaranteed – the 2017 race finished Chris Latham sprinting to the win from a reduced bunch, whilst in 2018 it was a late three-man breakaway who contested the finish. This lack of a ‘formula’ to the racing, as well as the difficulty of the course, meant that both races seemed very open as the riders lined up on Sunday morning. The inaugural women’s Klondike GP, coming in at a healthy 112km, rolled out of Guisborough under sun and blue skies this morning. Among the starters, the new team Brother UK-Tifosi p/b OnForm seemed like the squad to watch, fielding a strong group which included 2018 National Series runner-up Anna Henderson, but there were plenty of other big names there too. Though they’ve said they won’t be able to contest the whole series, UCI team Drops had the trio of Anna Christian, Elinor Barker and Meg Barker racing at Klondike, as well as Paralympic champion Dame Sarah Storey, time triallist Hayley Simmonds, and Molly Weaver, who made her return to road racing this weekend. As they headed out towards the coast, the peloton stayed tightly bunched together, taking almost an hour until the first attack materialised – Bianchi Dama’s Sarah King pushed on solo to forge a gap of 12 seconds. As the clear skies turned to rain, King was briefly joined by the five chasers of McDermott (Team Boompods), Tindley, Hunter-Johnston (both Campinense-Velo Performance) and the Cycle Team OnForm duo of Simpson and Finney. Though this looked like a strong group, their lead was short-lived, as they were absorbed by the peloton only a few kilometres later when the race hit the feedzone. There was a lull in the action at this point, but the difficulty of the course was already clearly taking its toll, as several riders found themselves distanced from the peloton, including Dame Sarah Storey who struggled to get back on after facing gear problems. As the race approached the 80km mark, it was Christina Wiejak (Team Jadan Weldtite-Vive le Velo) who was the latest rider to attack the reduced peloton, stretching out a gap of 17 seconds, but the bunch was chasing hard and things were soon back together at the front and remained that way for much of the race. Going into the final 20km it was Joscelin Lowden (Brother UK-Fusion RT) who took advantage of the hilly terrain and launched an attack, going solo at first, but she was soon joined by pre-race favourite Anna Henderson of Brother UK-Tifosi. The strong pair quickly built up an advantage of over 20 seconds, and at the 10km-to-go point Henderson and Lowden were still leading over a sizeable chasing group. Despite the likes of Elinor Barker (Drops) and Rebecca Durrell (Brother UK-Tifosi) pulling the group behind, the leaders proved impossible to catch in the closing kilometres, especially as the Brother UK-Tifosi squad had no real reason to chase with Henderson up the road. Henderson and Lowden continued to ride well together on the run-in, but as they reached the finish in Guisborough it was 2018’s most prolific winner Anna Henderson who powered to the win, getting her 2019 season off to the best possible start. After a strong ride, Lowden had to settle for second on the line, whilst Henderson’s teammate Leah Dixon who rounded out the podium. After the wet and windy finish of the women’s race, the sun had come out again by the time the men’s race got underway in the afternoon. A notable omission from the start list was 2018 victor Tom Pidcock (Team Wiggins Le Col), but his podium companions Tom Moses and Johnny McEvoy were both there as part of a very strong Madison Genesis team, as well as 2017 winner Chris Latham (Vitus Pro Cycling p/b Brother). With every team sending top squads to the first round of the National Road Series, we were set to see a very close race. Where the women’s race had been fairly controlled in the opening kilometres, the men’s was full of attacks as soon as the peloton hit kilometre zero. After 45 minutes of constant movement at the front, and a small crash, a group eventually formed, containing Stedman (Canyon dhb p/b Bloor Homes), Moses (Madison Genesis), Tulett (Team Wiggins Le Col), Kenway (Vitus Pro Cycling p/b Brother), Kyffin (Ribble Pro Cycling) and Savage (Cycling Sheffield). Six soon became ten as Holmes (Madison Genesis), Wood (SwiftCarbon Pro Cycling), Paton (Canyon dhb p/b Bloor Homes) and Bigham (Ribble Pro Cycling) joined the leaders. There was briefly a 4-man chase which included Russell Downing (Giordana Racing), but with all six Continental teams represented in the break, the peloton were happy to let the 10-man group go and their gap soon grew to over a minute within the first lap. Back in the peloton the pace remained high with Vitus and Wiggins policing the front in an effort to protect their sprinters, but the break maintained their lead which hovered at around a minute for the majority of the middle part of the race. It took until the third and final long lap for the gap to start coming down, as Vitus really pushed the tempo on the front of the peloton. With 40km to go the breakaway’s lead had dropped to 33 seconds and as their advantage shrunk so did their size, leaving only Moses, Holmes, Wood and Stedman out front as the race hit Saltburn Bank for the third time. Going into the final short lap and with the leaders still not caught, the peloton went from a controlled chase to a flurry of attacks. Ian Bibby (Madison Genesis) and Steve Lampier (Saint Piran) initiated a move which went on to form a chasing group of twelve – the pair joined by Townsend (Canyon dhb p/b Bloor Homes), Slater, Thwaites (Vitus Pro Cycling p/b Brother), Cuming, Swift (Madison Genesis), Christian, Cullaigh (Team Wiggins Le Col), Shaw (SwiftCarbon), Sutton (Richardsons-Trek) and Kibble (Wales Racing Academy). No sooner did they catch the remains of the day’s breakaway than a counter-attack was launched – this time from national champion Connor Swift and former Spring Cup winner Rory Townsend. As the pair pushed on they were joined by Thwaites, and the trio stretched their advantage to a precarious 24 seconds over a splintering chase group, but this dropped to 14 seconds going into the final 10km. With 3km to go, the three leaders were speeding towards the finish with a clear gap but it was anyone’s as to guess who would take the win between a former WorldTour rider, the current national champion, and a proven strong sprinter. Ultimately it was speed that mattered over reputation in Guisborough as Canyon dhb p/b Bloor Homes’ Rory Townsend sprinted to victory over Thwaites and Swift. Though already a Tour Series sprints competition winner and Spring Cup overall winner, this is Townsend’s first National A win and another result to add to an already successful 2019. Tulett transitioning. Though known for his cyclocross abilities, Dan Tulett had a string of solid results on the road last summer, and this year has joined Team Wiggins Le Col with the aim of building a strong road program between ‘cross seasons. His ride in the breakaway today proved his ability to transition to road racing, even on tough, rolling courses such as the Klondike GP. As a fairly small rider, Tulett seems more naturally suited to the climbs, but it will be interesting to see where his strengths lie as he races his first full season on the road. Brother UK-Tifosi p/b OnForm as strong as can be. After a rebranding and reshuffling at the end of 2018, Brother UK-Tifosi signed a host of top riders and looked like a force to be reckoned with going into 2019 – an expectation they met in their first race of the season. After being active all day and covering every move, the team took home not only the win but also swept up 4 of the top 5 positions, putting them straight into the lead in the individual and team series classifications. With so many of the best British riders sporting their colours, Brother UK-Tifosi really will be the team to beat this season. Tactically perfect from Canyon dhb p/b Bloor Homes. Canyon dhb p/b Bloor Homes came into this race as clear favourites after an impressive start to the season and they played it perfectly. Putting Stedman and Paton in the early break, the rest of the team were able to conserve energy in the peloton should it all come back together. The likes of Townsend and Tennant were well positioned throughout the day, with Townsend perfectly poised to join that race-winning move in the closing kilometres before staying calm and confident enough to sprint to victory. Canyon dhb p/b Bloor Homes have certainly started the National Road Series in a dominant fashion, and this definitely won’t be the last of their success in the Series this year. My rider of the day was practically set in stone before any pedals had even been turned, for reasons not to do with their racing today, but with their journey to get here. After fighting back from a life-threatening crash and serious injury in 2017, Molly Weaver has already made one impressive return to racing in her career, but this was cut short in May 2018 when the 25 year old left the Trek-Drops team in order to prioritise her mental health. Though she didn’t label it as a retirement, Weaver has admitted she didn’t see a return to racing in her future when she took a step away from the bike last year. But today, nearly 12 months later, Molly Weaver did just that – she pinned on a number and raced again at the Klondike GP. Riding for the amateur team Orbea Racing, Weaver started the race without a team around her and on a day where over half the field failed to finish, she came home in 37th place. Whether she’d finished 1st, 30th, or didn’t finish at all, Molly Weaver’s ride would have been no less important as a show of resilience, bravery, and knowing when you need to take a break. I certainly hope we see more of Weaver this season as she’s a truly talented and inspiring rider and person. You can read more about Molly’s story so far on her website. The Men’s and Women’s National Road Series take a break now until the Lincoln GP on the 12th of May, one of the oldest and most iconic races in the UK. 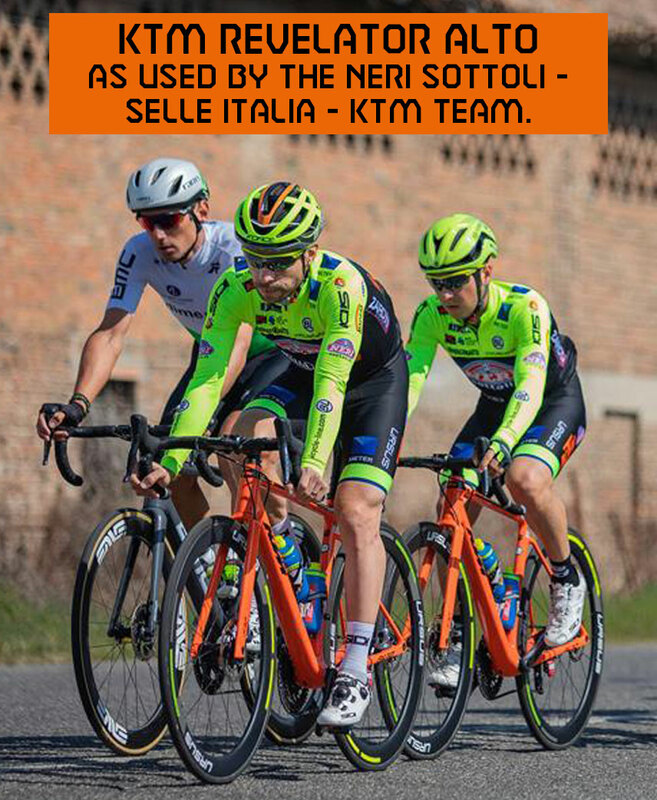 In the meantime, we have the first UCI race of the season in the form of the men’s Rutland-Melton CiCLE Classic on the 28th April, followed by the Tour de Yorkshire on the 2nd-5th of May, where we’ll see all 6 men’s Continental teams in action, as well as Drops, Brother UK – Tifosi and Storey Racing. May will also bring the return of the Tour Series, 7 rounds of city-centre racing for the men’s and women’s pelotons, starting in Redditch on the 9th. Highlights of the Klondike GP will be shown on Eurosport 1 at 1pm and again at 8.30pm on Thursday, April 18.